This week on the New York City subway had its celebrations, surprises and a bit of a scare. 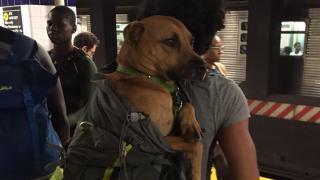 From the story of a dog that went missing only to be reunited with a family who thought he was lost forever to a mysterious white powder at the Port Authority Bus Terminal, there was no shortage of newsworthy events on the New York City subway system this week. Here are the top 4 moments, as chosen by us, from Mar. 30 to Apr. 6. On Friday a New York City man discovered his dog, Myko, actually belonged to another family after the pup ran away during last week's nor'easter. Kenneth Colson said Myko was like his "right arm." But after Myko slipped out a crack during the storm and wound up at the Hoyt-Schermerhorn subway station, that was all about to change. It turned out Myko actually belonged to another family, who authorities reunited the dog with after finding him in the subway system. "I’m just blessed that he’s alive and I didn’t have to live with that," Colson said. Mike Yung doing what he does every day: singing in the New York subway. Subway singer Mike Yung achieved a goal that means he can finally make his decades-long dream a reality. 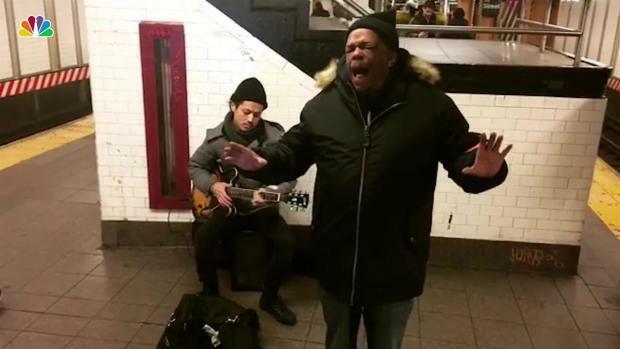 The 58-year-old New Yorker who has been busking the subway for the past 38 years raised enough money to record a short album thanks to an online fundraising campaign. Having come so close to achieving his dream, only to have it slip through his fingers on many occasions, Yung turned to the crowdfunding website Kickstarter to ask the public for help financing his debut album. The public and fans alike came out in full force — helping him surpass an initial $75,000 goal to put out a short album. On Wednesday, a mysterious white powder sparked a brief scare and partial shutdown at the Port Authority Bus Terminal. The NYPD acted after saying it received a call around 9 a.m. about some suspicious powder outside the terminal. But soon after, the terminal and station were given the all-clear. The white powder? A cleaning substance. 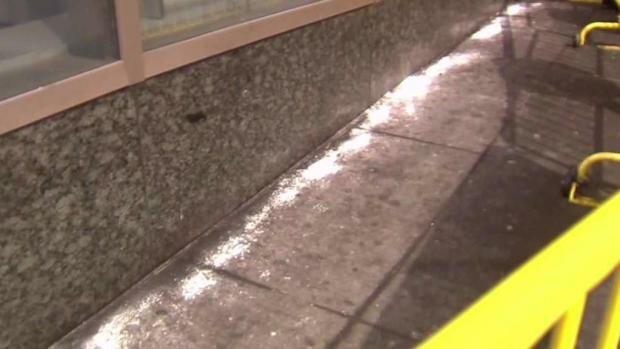 A piece of metal on the tracks caused a subway train to stall out for more than an hour. 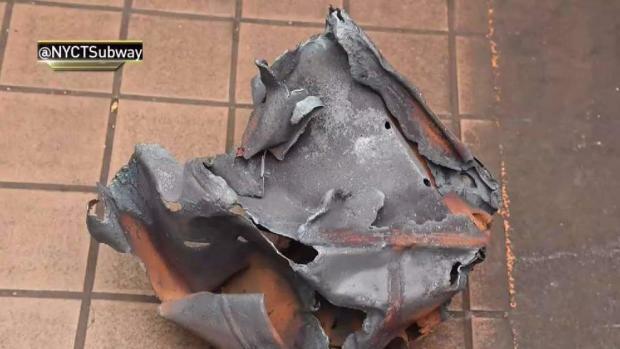 A piece of metal on the tracks caused a subway train to stall out for more than an hour Thursday, sending smoke into cars and a station, causing panic among stranded straphangers and mucking up the commute home for thousands of other New Yorkers. Sara Frazier, an editor who lives in Brooklyn, said she was riding in the first car and looking out the front window of the 2 train with her daughter when they heard a blast, saw sparks and felt a bump in quick succession before it came to a stop. Frazier said about 45 minutes later the conductor decided to try to continue on to Clark Street in Brooklyn. That's when she and others heard a louder boom and saw 10-foot flames flare up between the first and second cars. The incident happened as debates continue to rage over spending to upgrade the MTA subway system. Dogs aren't allowed on the subway unless they are in a "container" or a bag. But this puppy doesn't seem to mind. Jenkins seems quite content having a nap while his human takes the train.